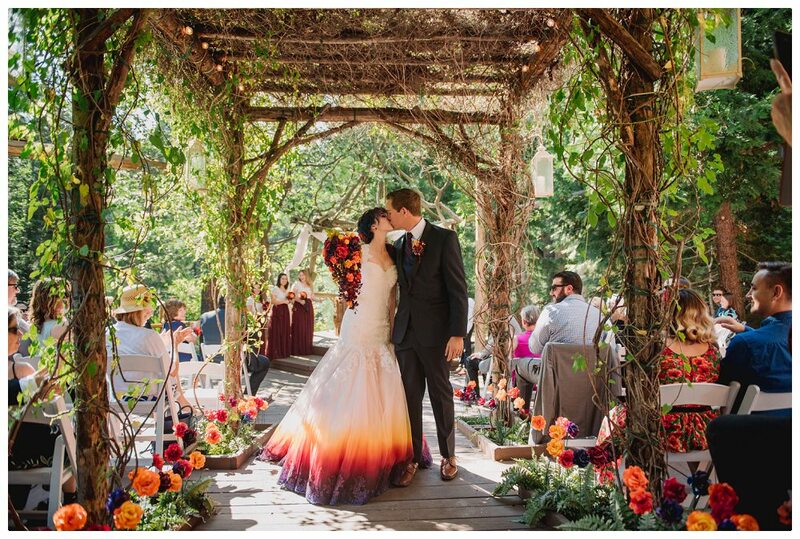 What happens when you put a beautiful artist and a handsome engineer together? 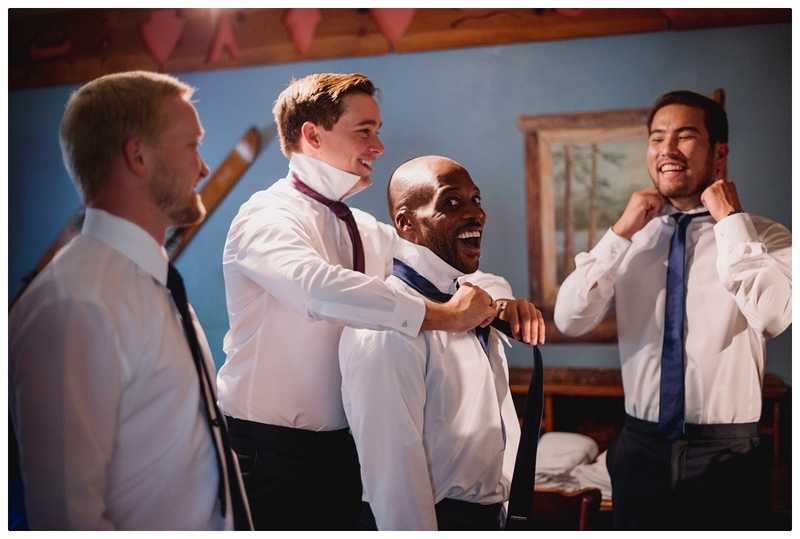 You get a lot of things that go very right! 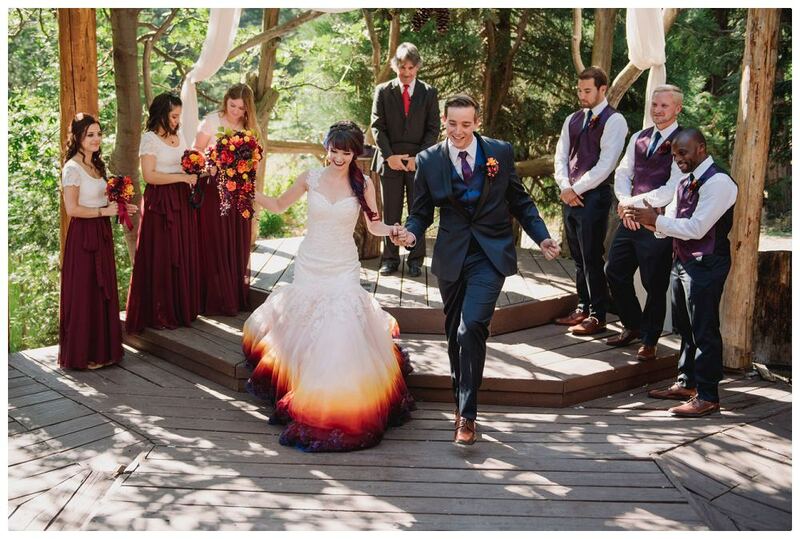 Taylor and Chris couldn’t be more opposite. 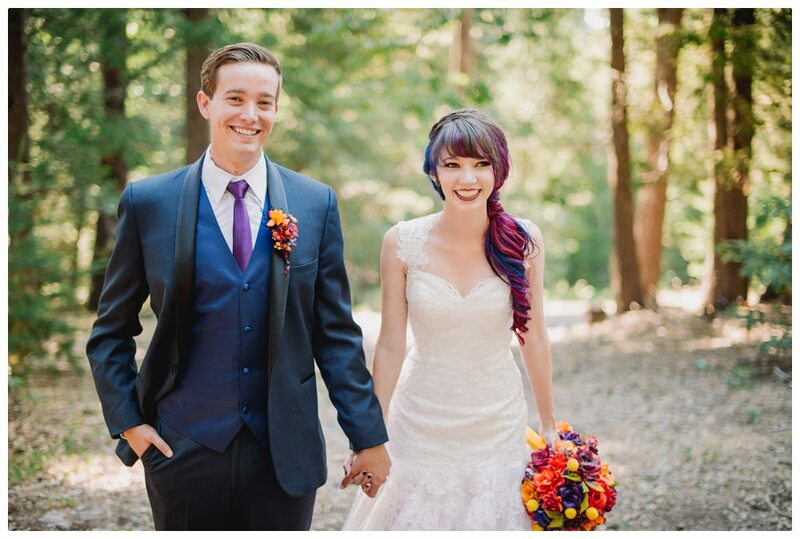 They were friends for a long time, 7 years, and Chris wanted to be more than just a friend during that time. 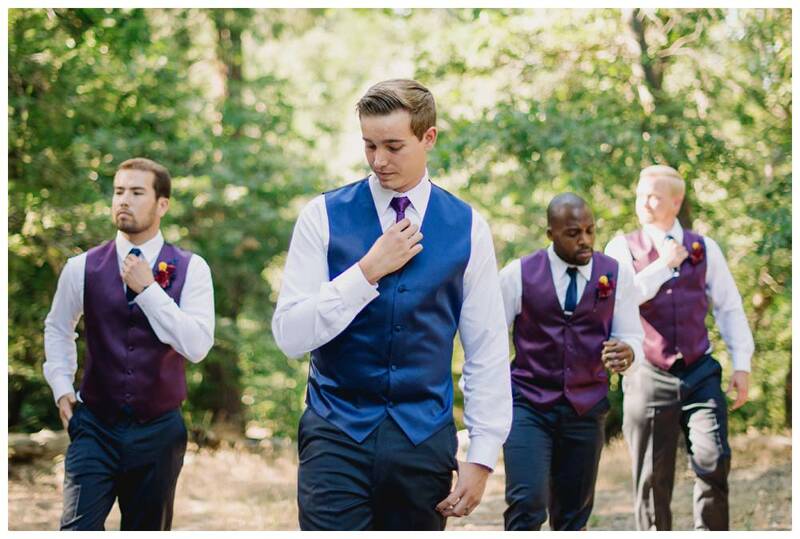 However for one reason after another, Taylor turned Chris away but he patiently waited. 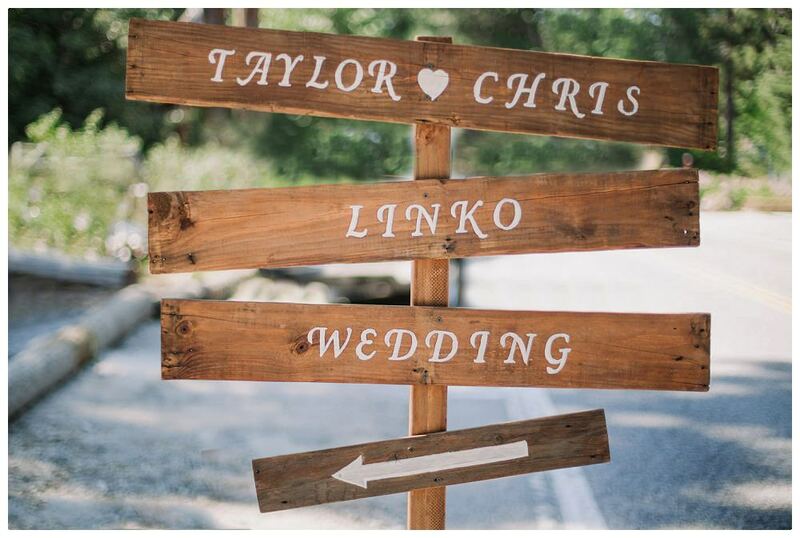 Finally, Taylor ran out of reasons. They became official and he proposed a few short years after that. 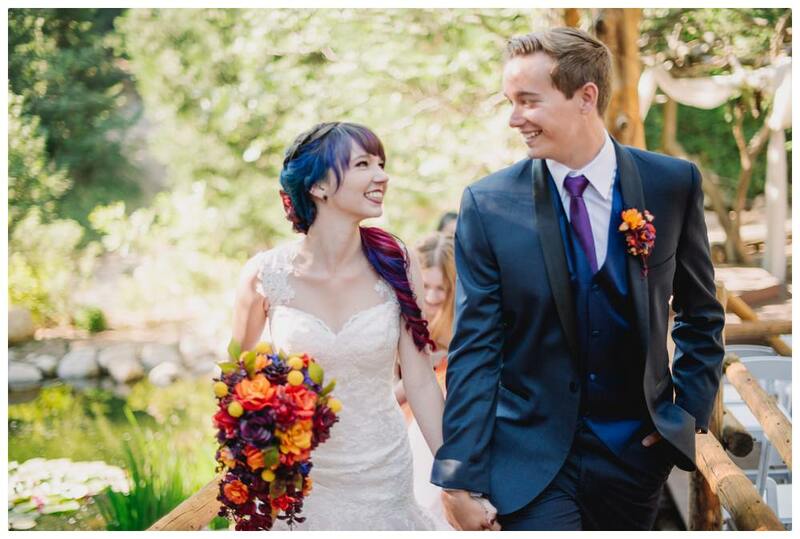 Yes, nice guys do get the girls! 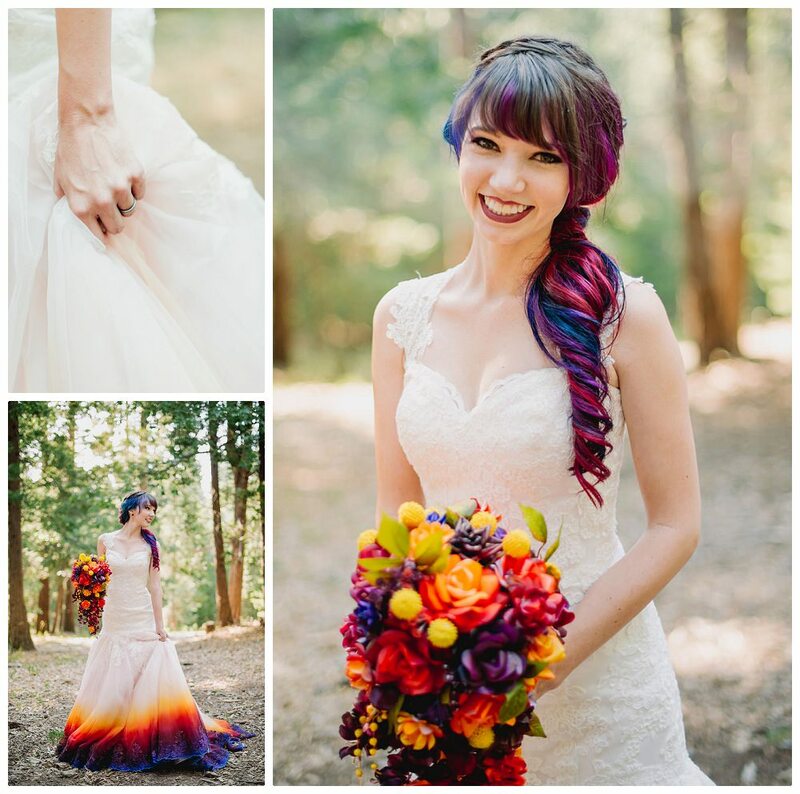 Other than being a creative person, Taylor is also a small business owner Taylor’s business Facebook page and her business website. 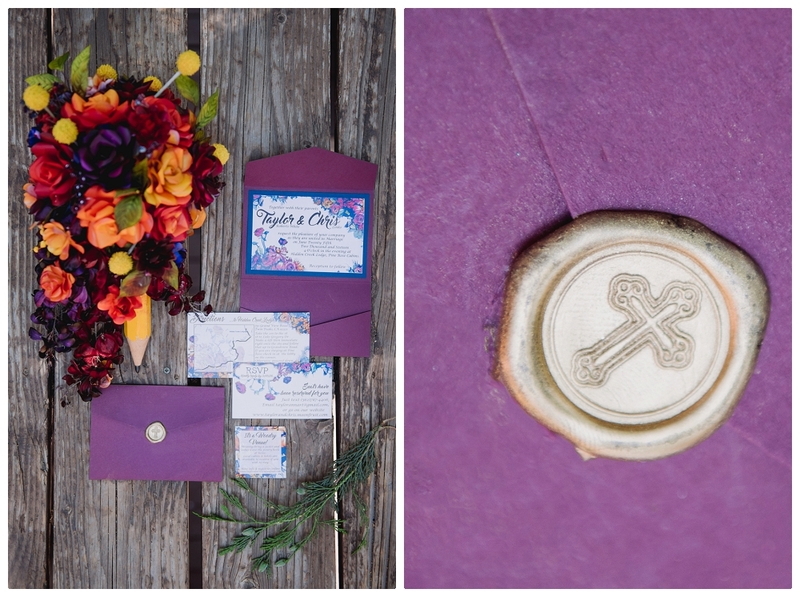 She personalized so many things for her wedding. 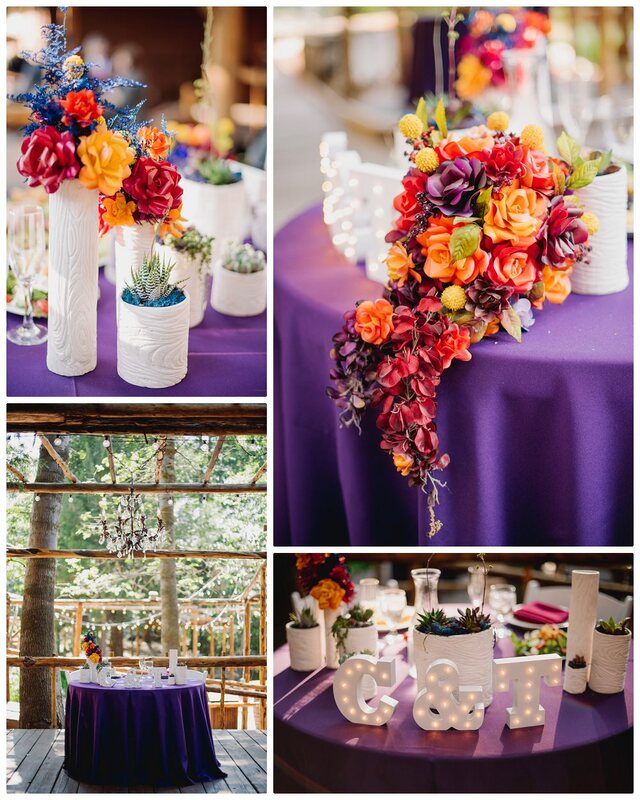 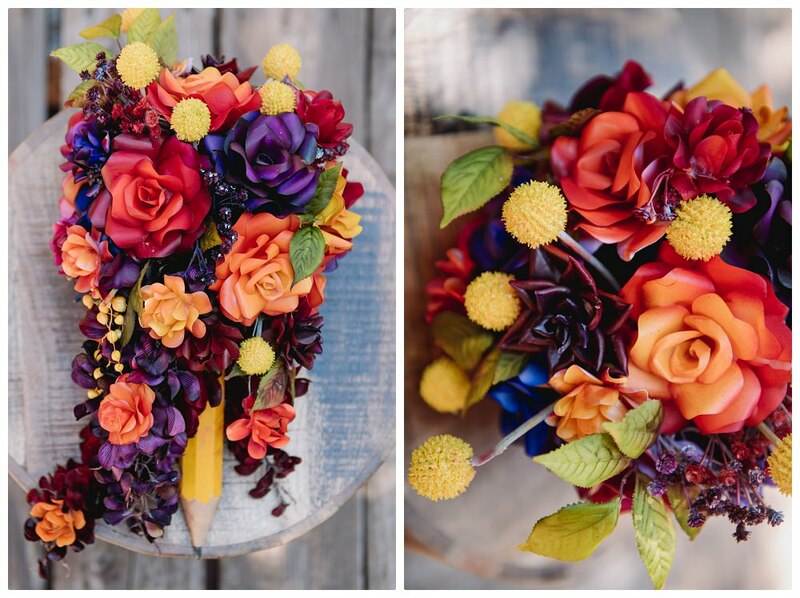 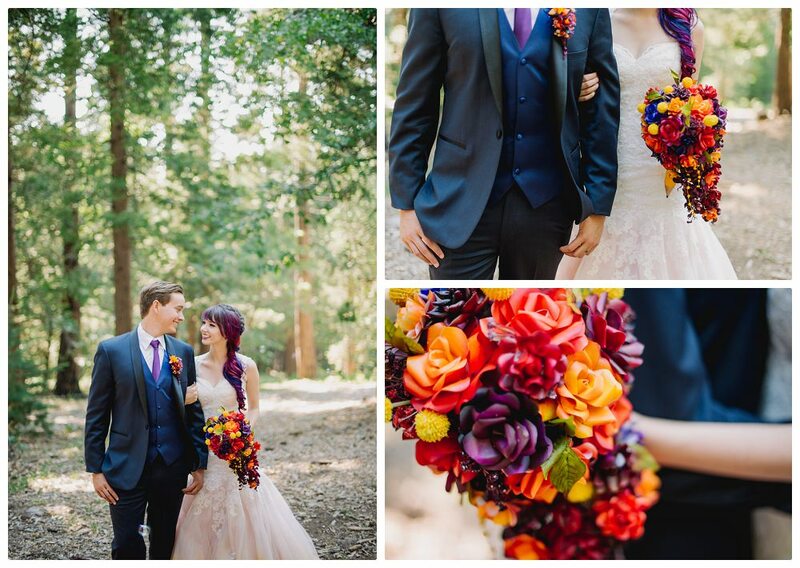 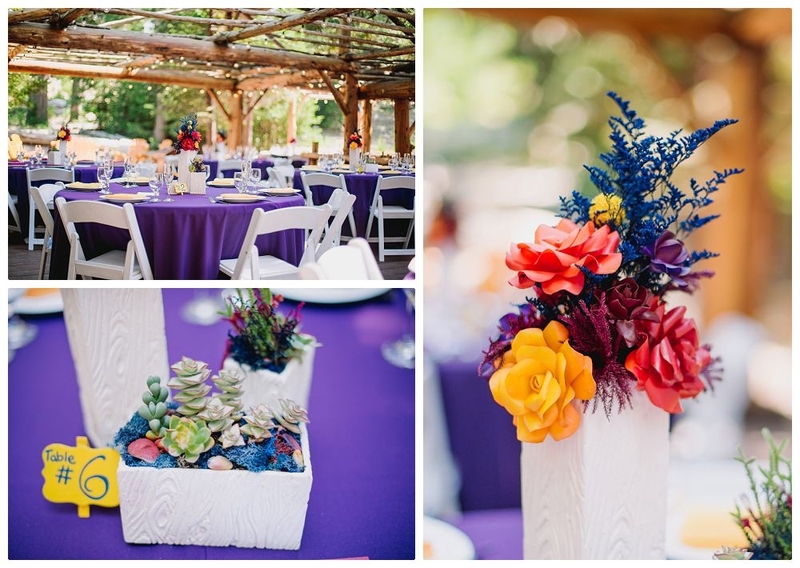 From the hand made center pieces to the bouquets and boutonnieres. 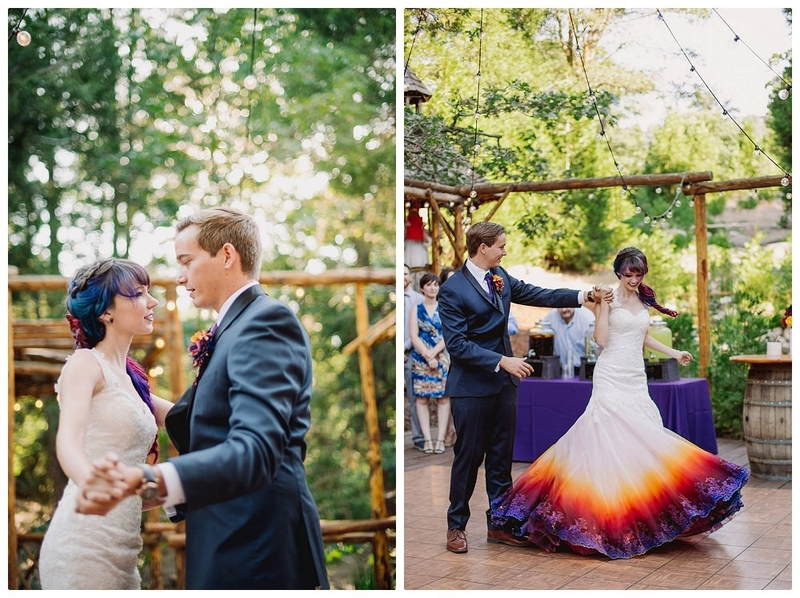 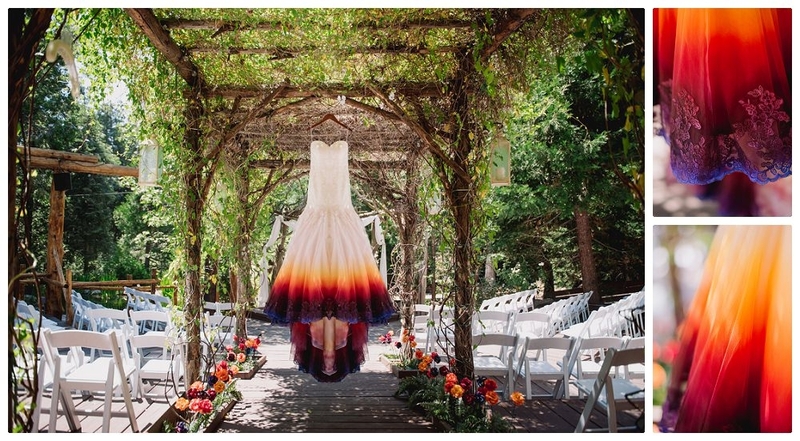 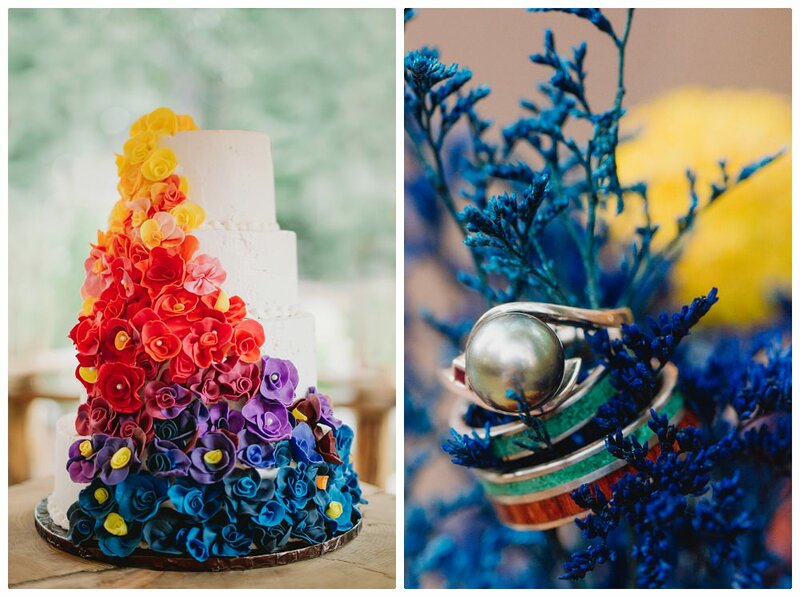 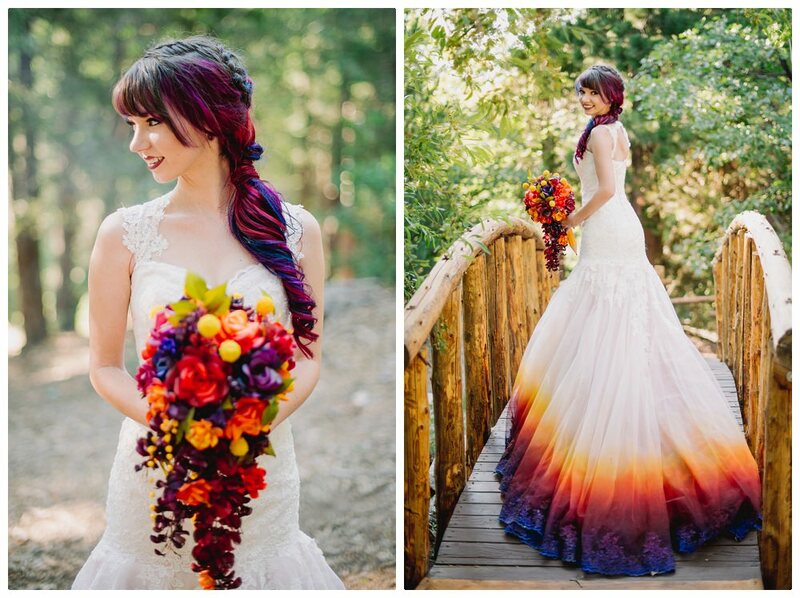 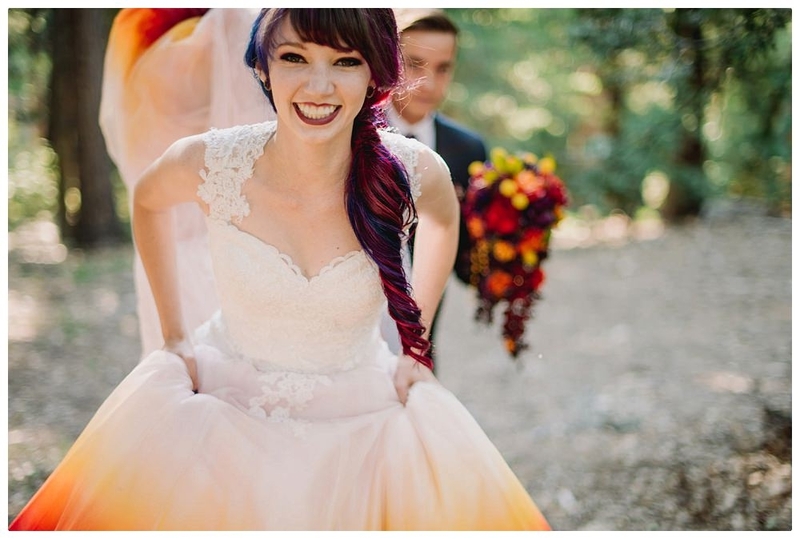 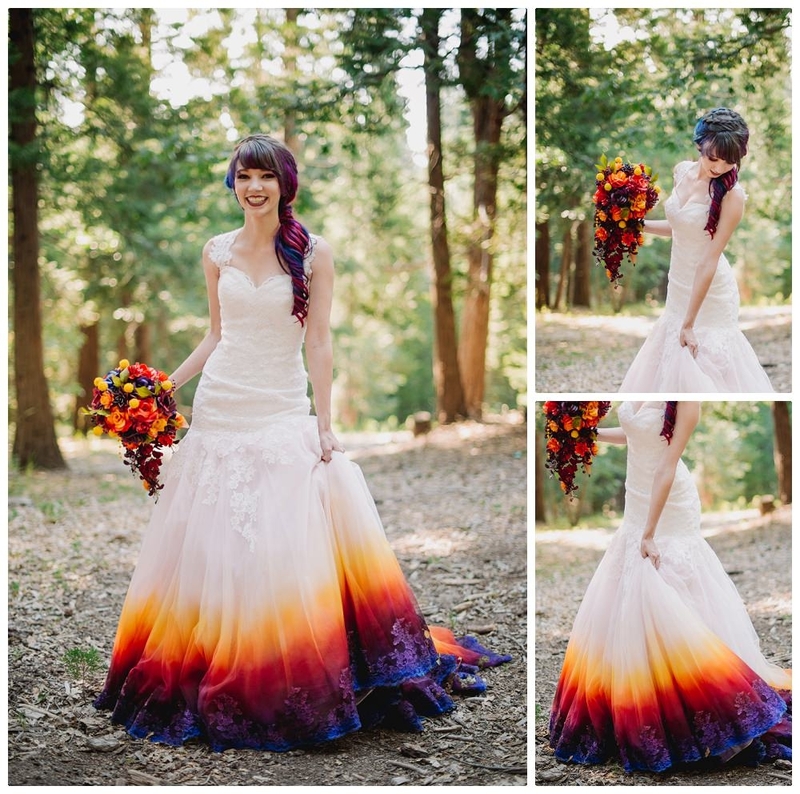 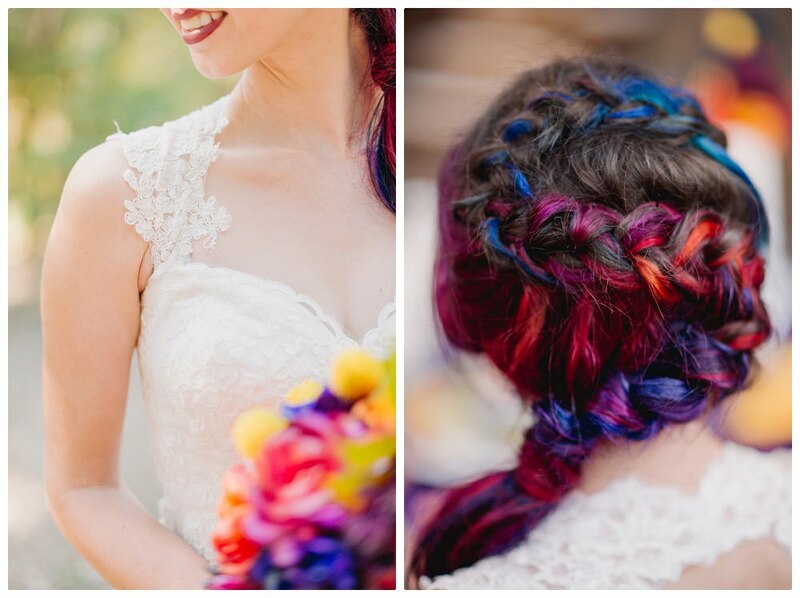 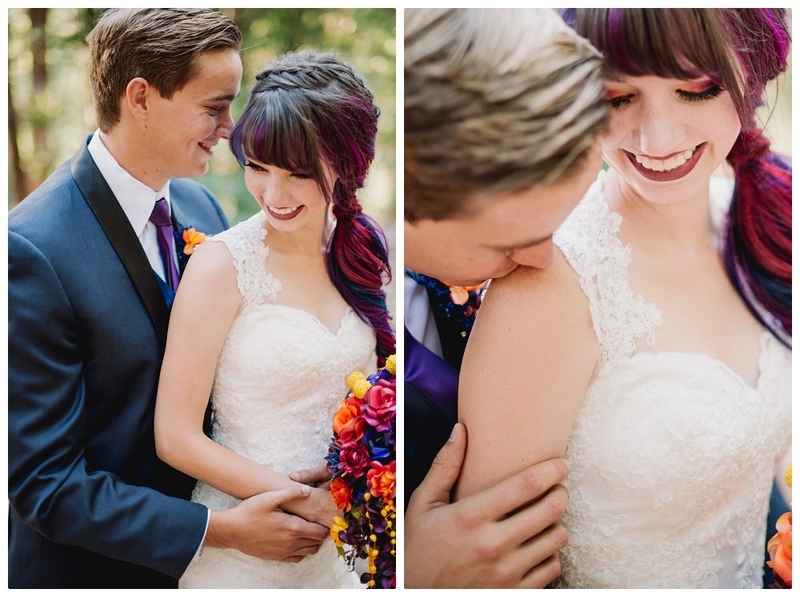 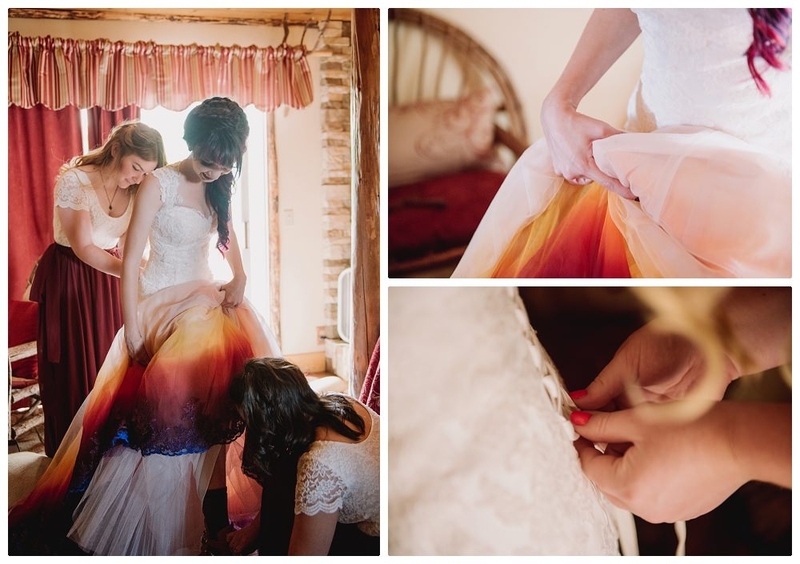 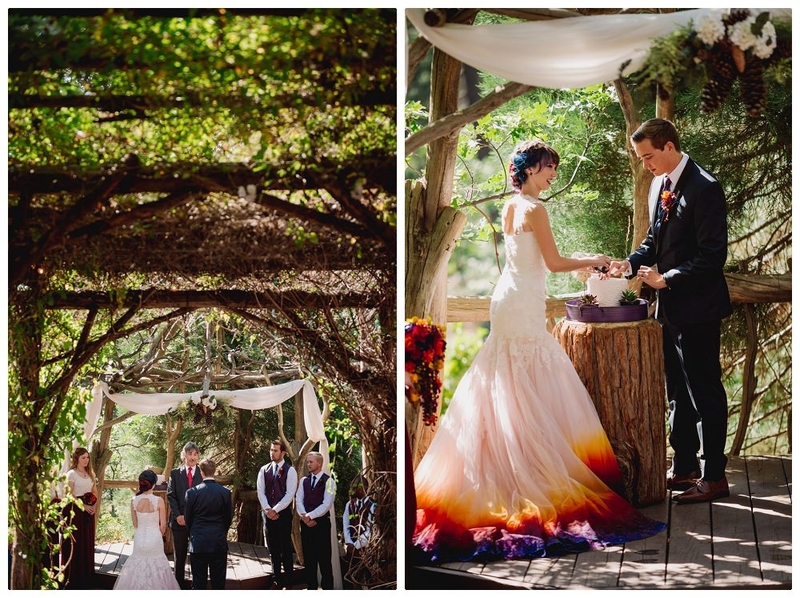 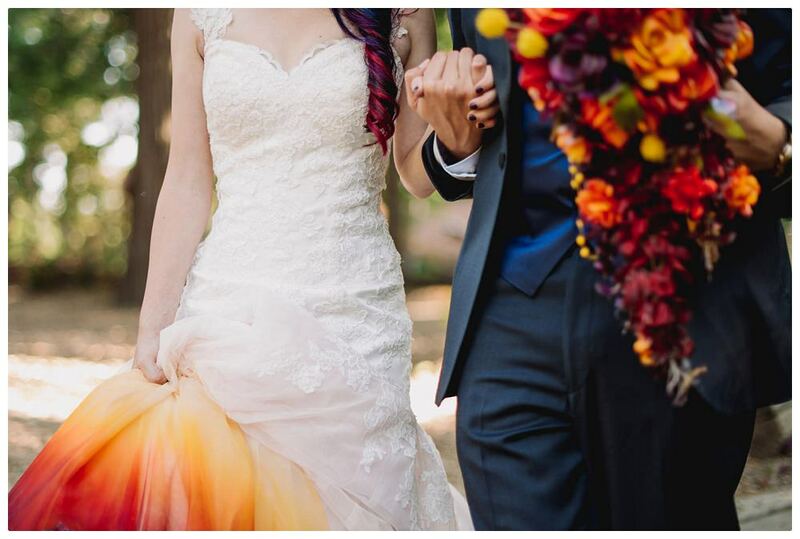 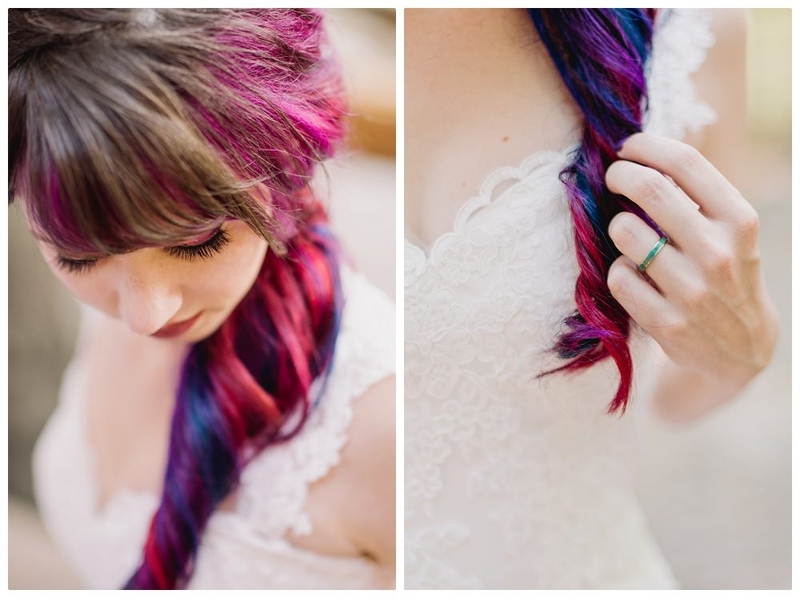 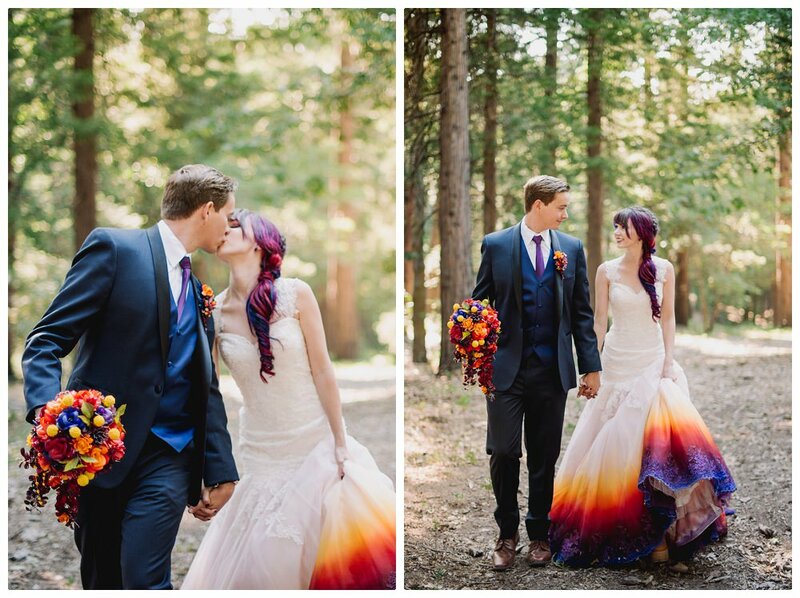 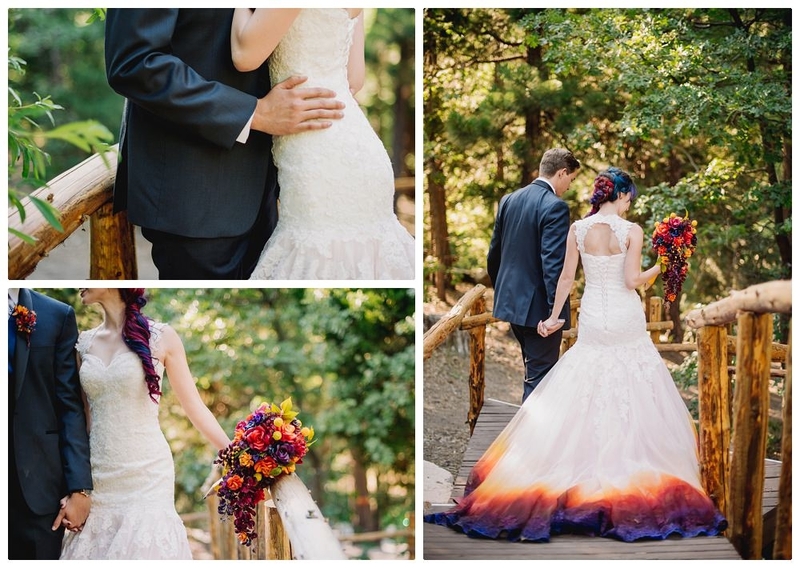 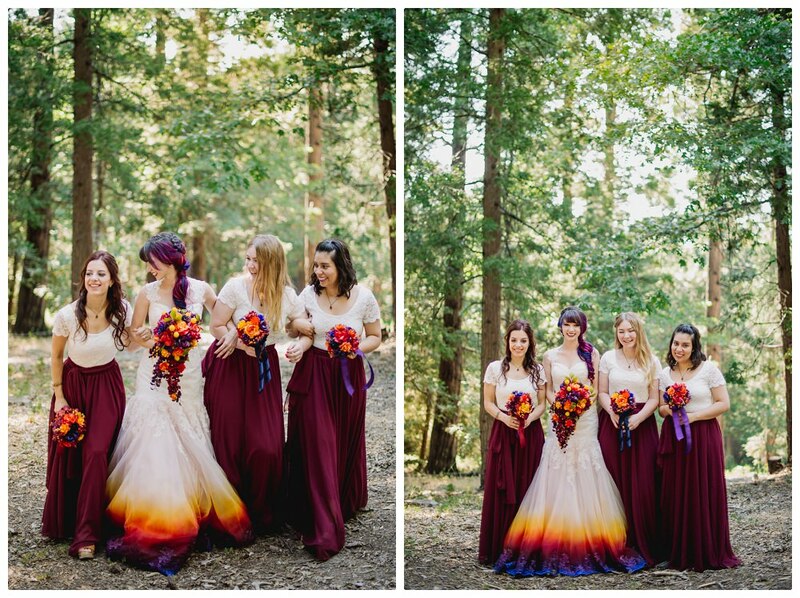 Oh, you have to see her one of a kind air-brushed (not dip dyed) wedding dress. 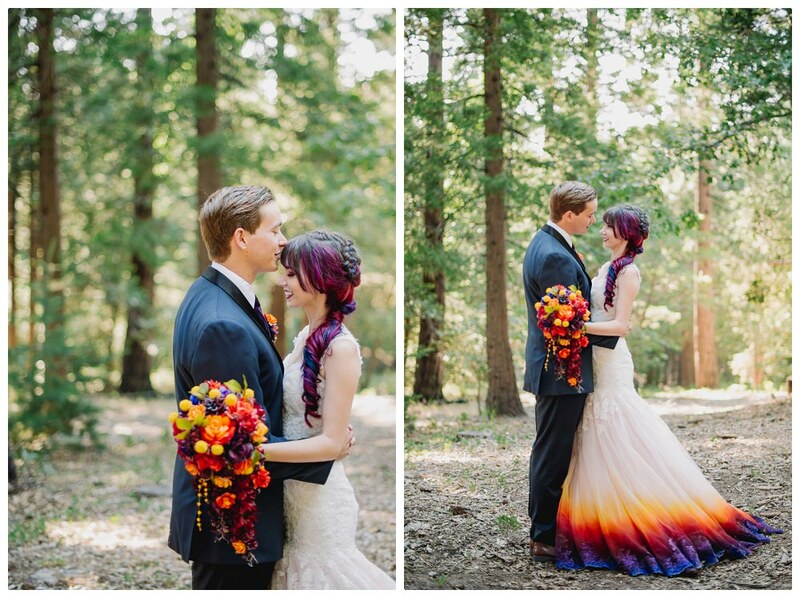 That is just out of this world! 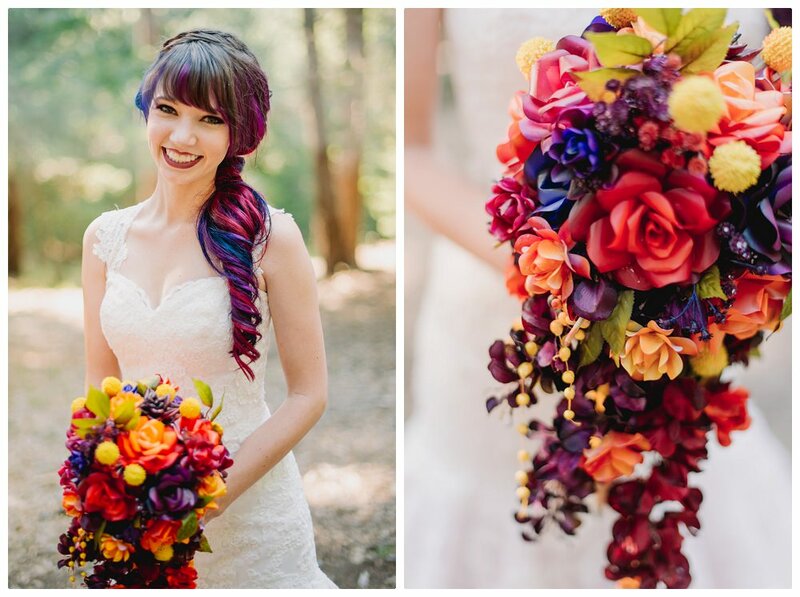 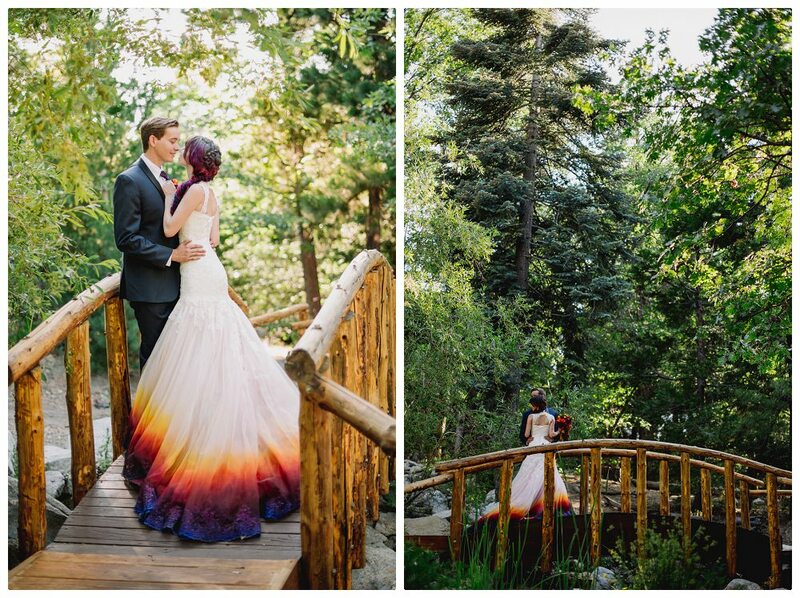 Taylor’s wedding at Pine Rose Cabins in Lake Arrowhead was full of colors and a lot of one of a kind hand made pieces, which makes it so unique. 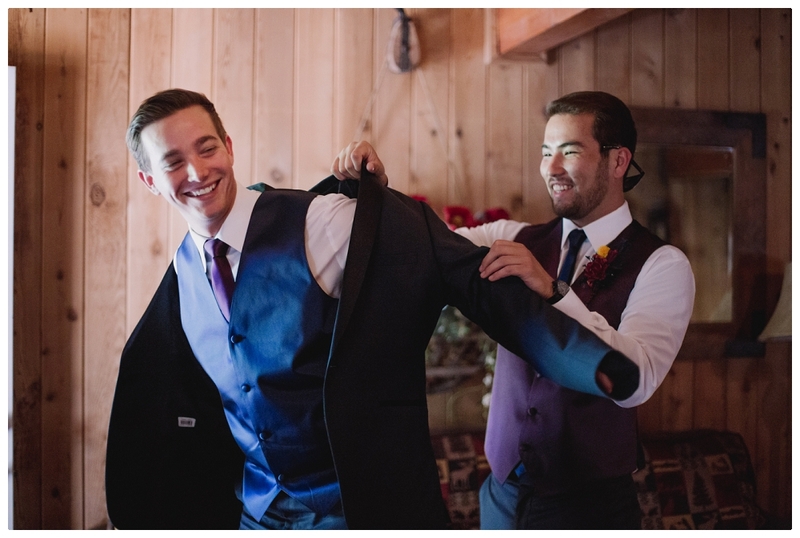 I was a bit nervous going into this wedding as the primary photographer. 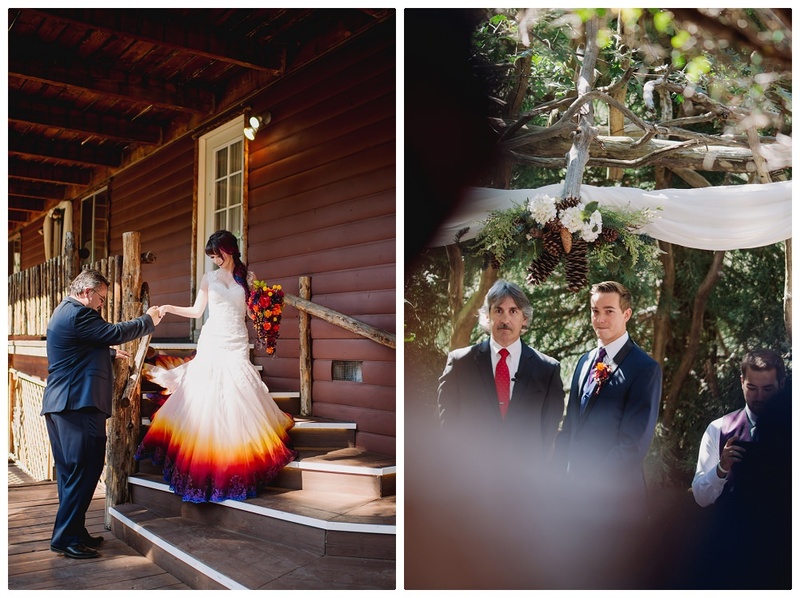 Taylor Ann and Chris are such a unique couple in addition to that this was such a unique wedding, I wanted minimum distractions and just let them be themselves. 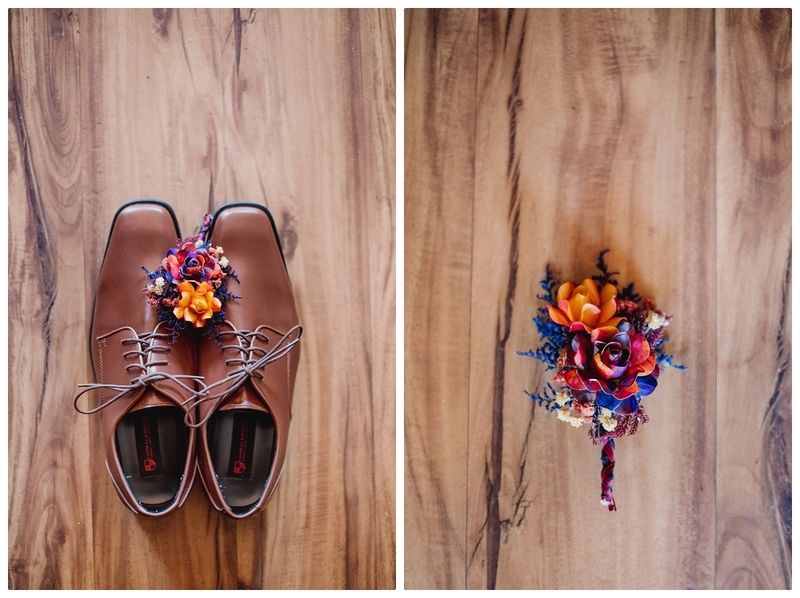 I also applied my minimalist approach when editing these photos (just enough to make it unique but not enough for my editing to become a distraction). 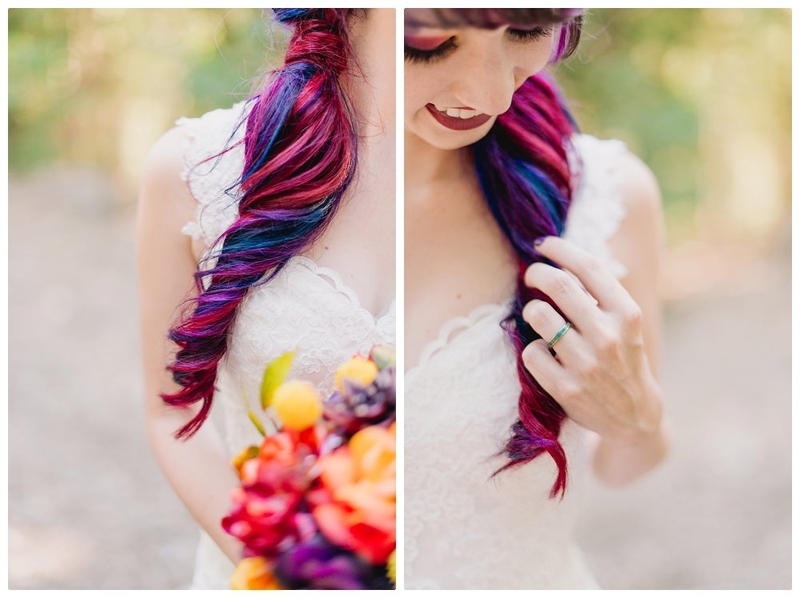 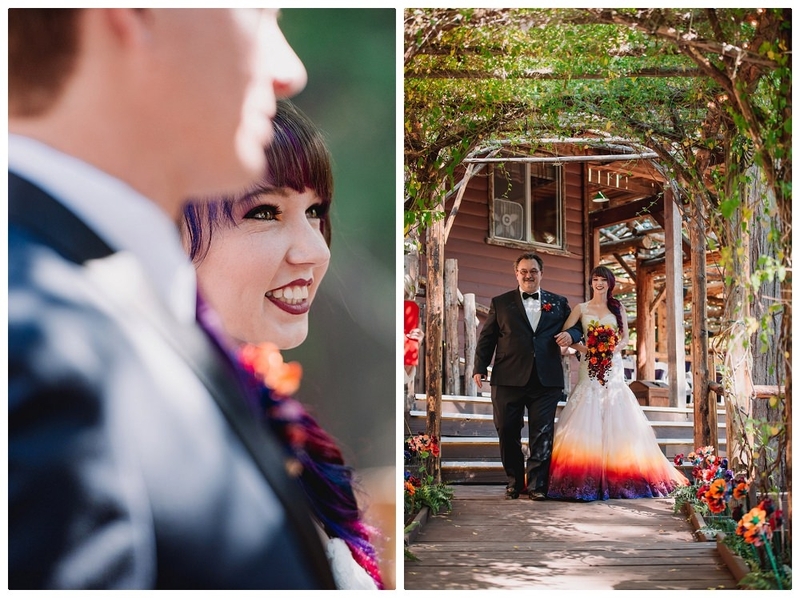 It was a lot of fun photographing Taylor Ann and Chris’ colorful forest wedding in Southern California, and definitely was on my top 5 unique weddings I’ve photographed throughout the years. 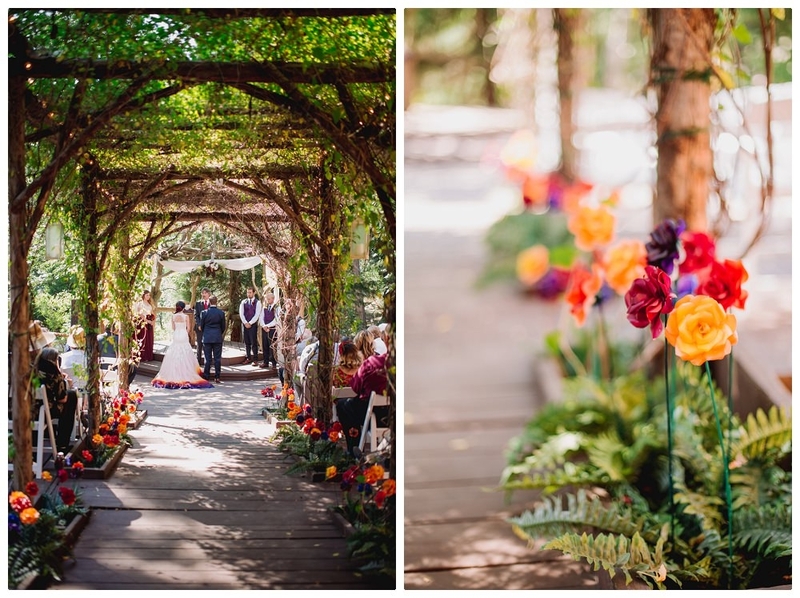 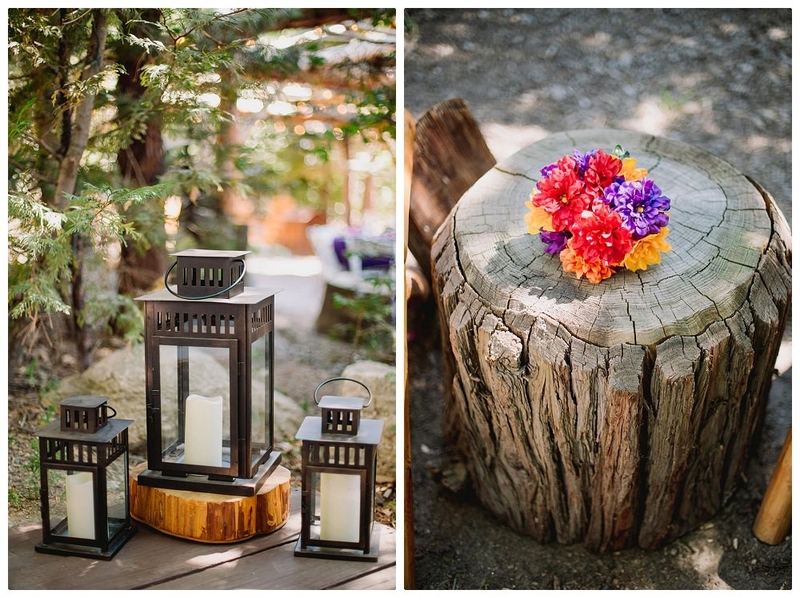 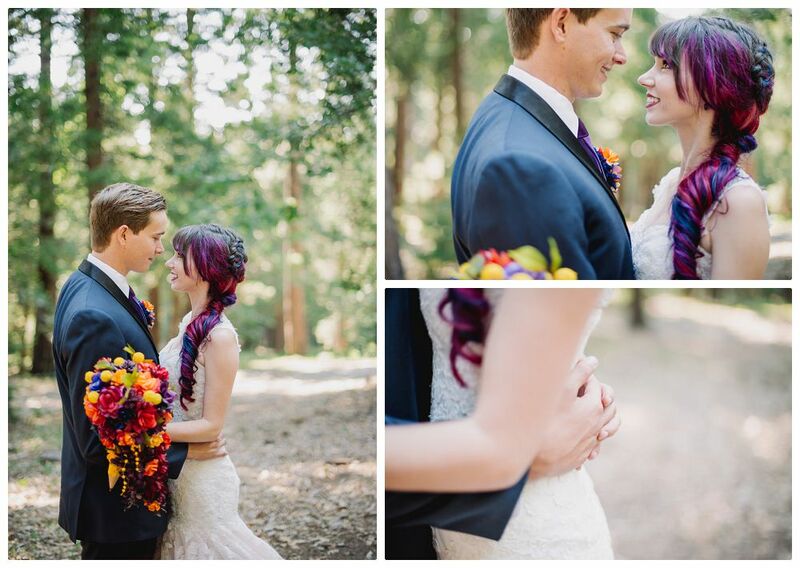 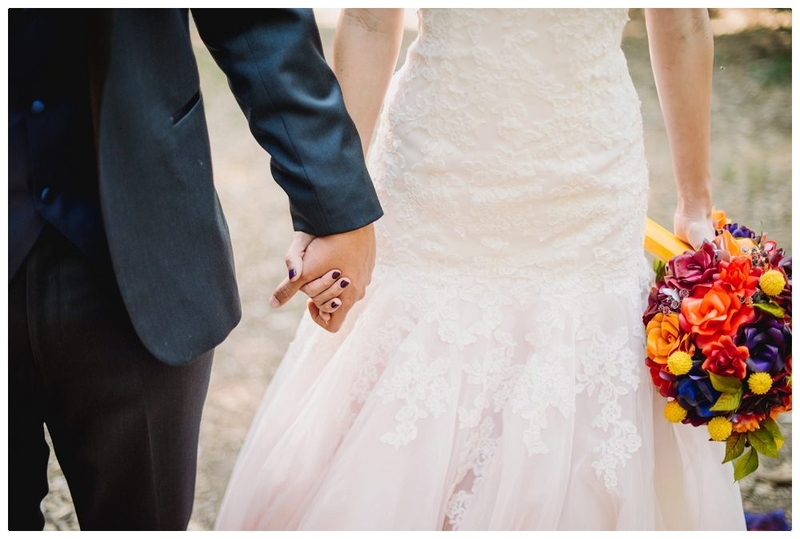 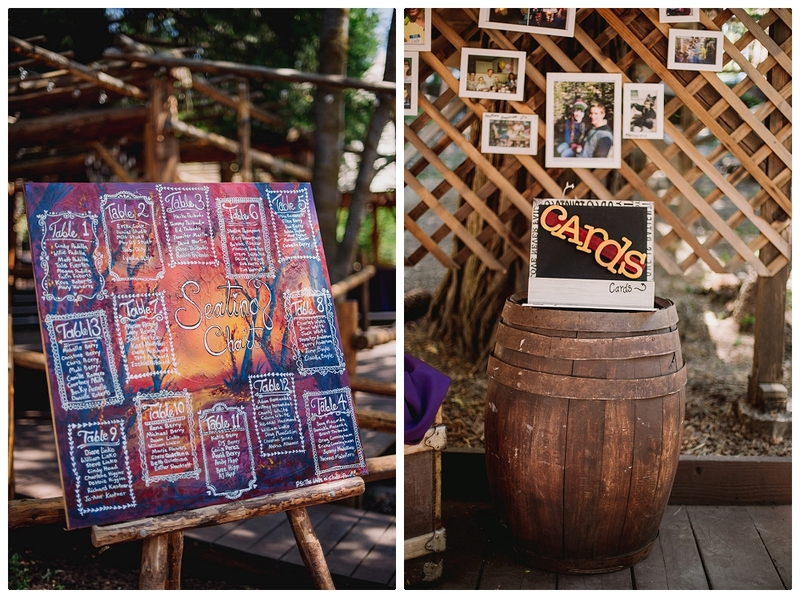 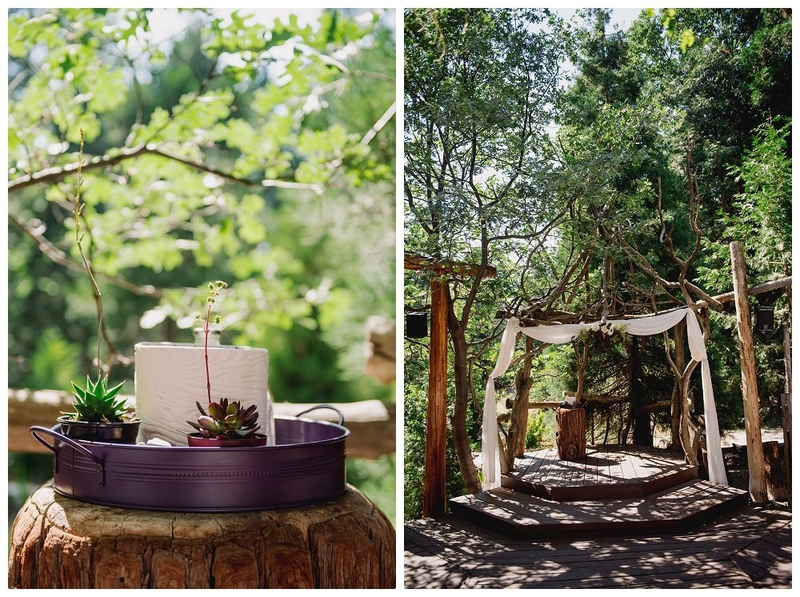 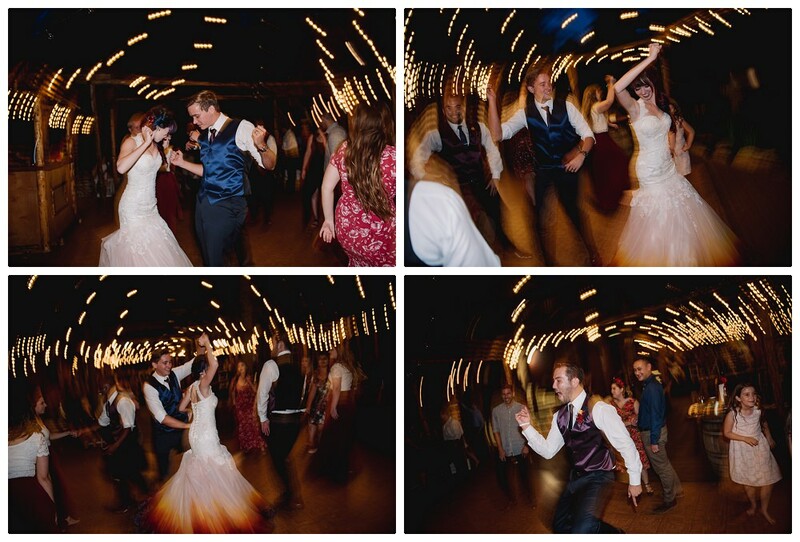 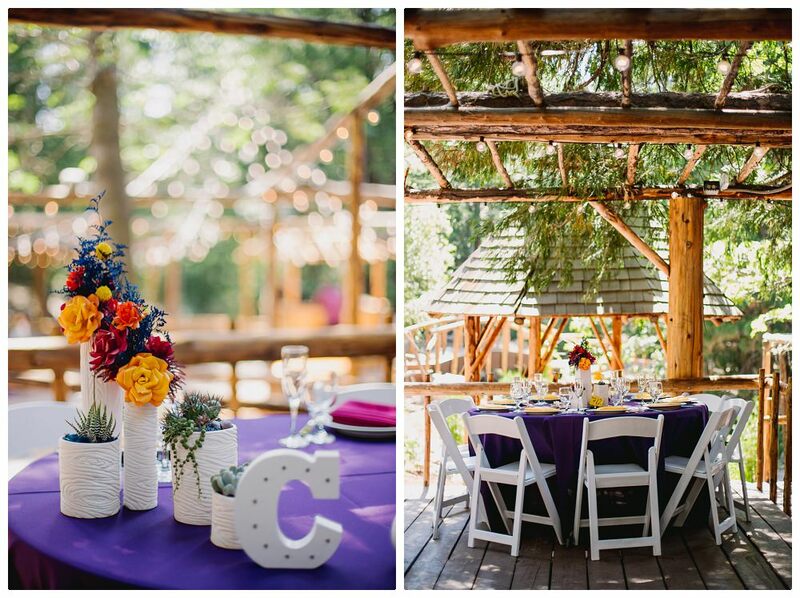 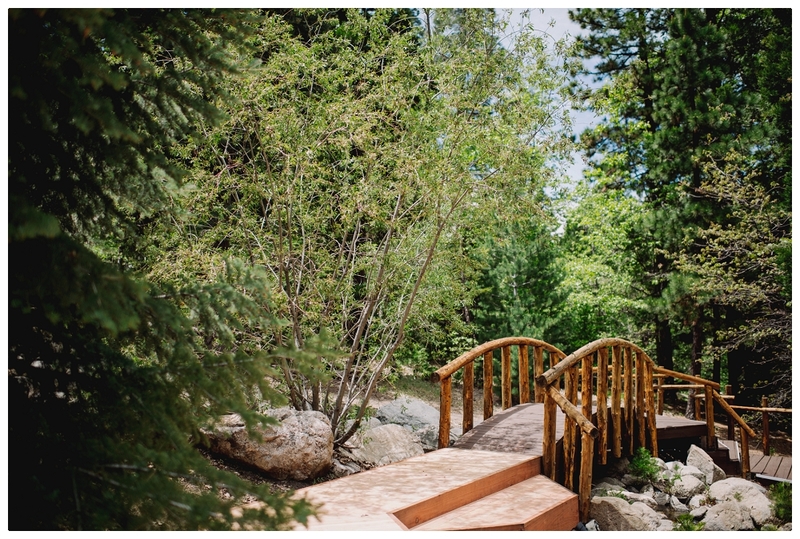 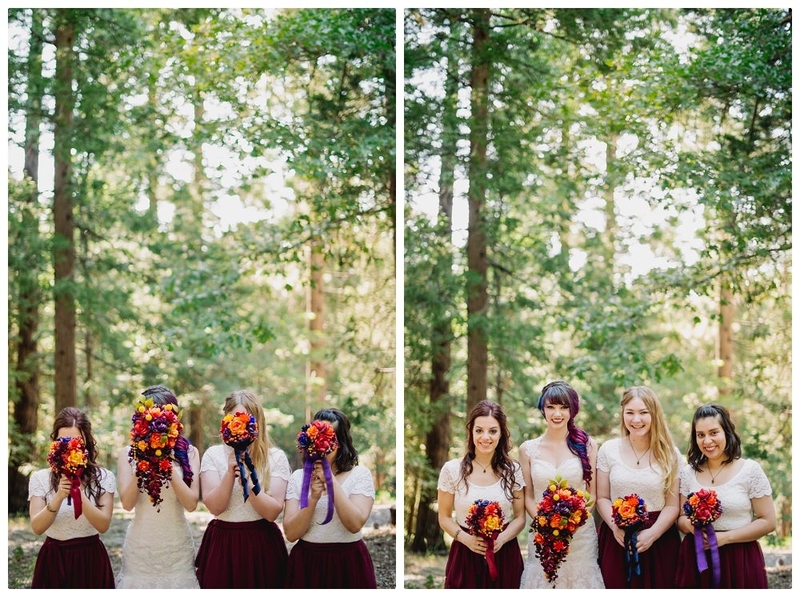 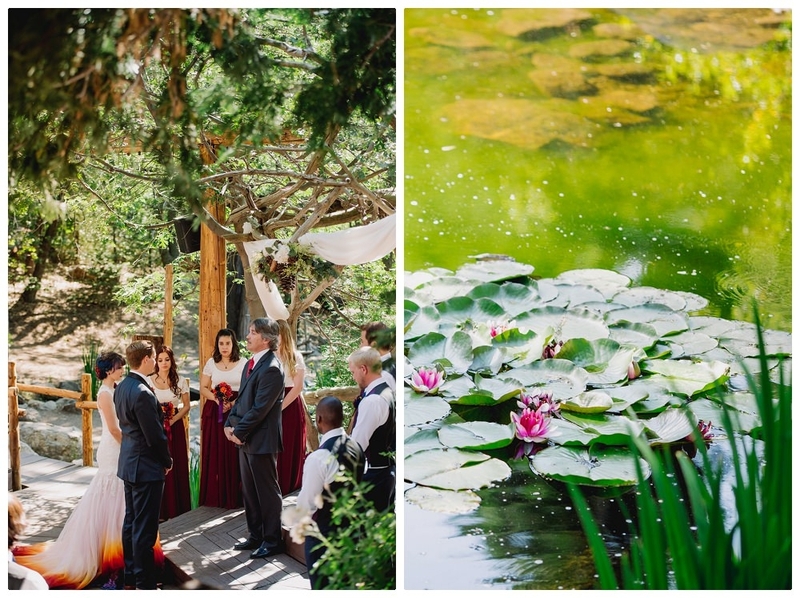 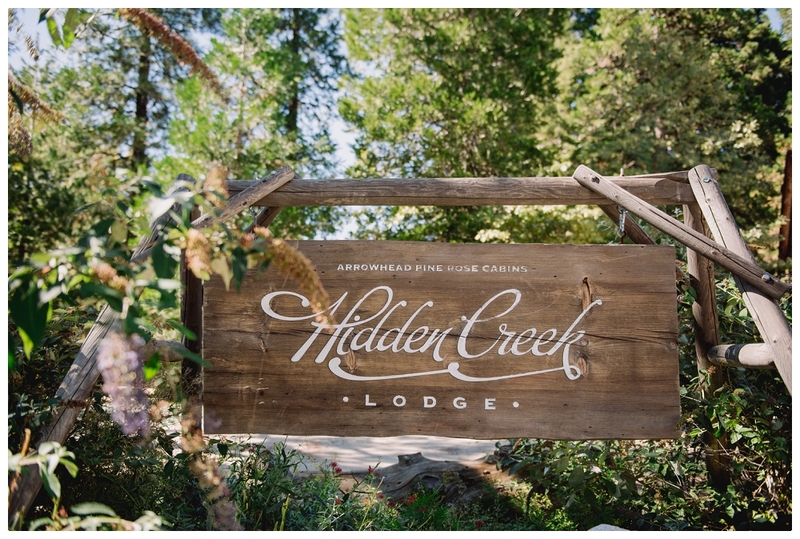 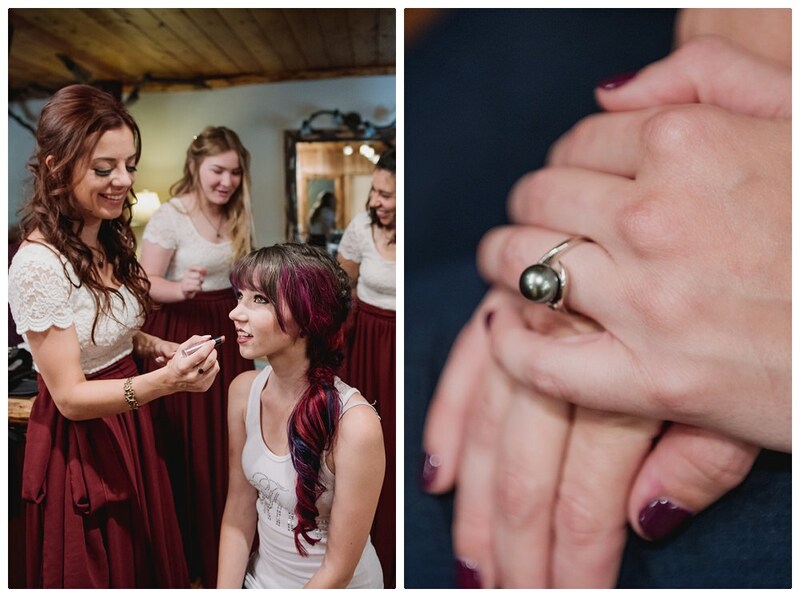 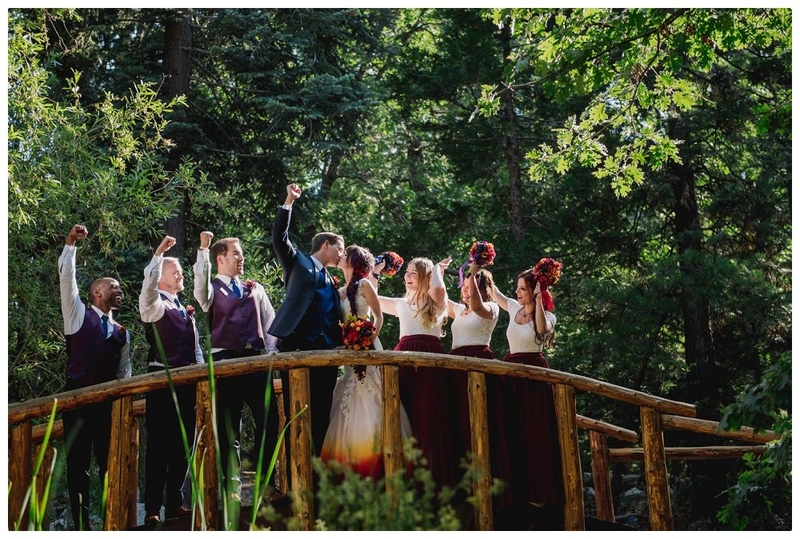 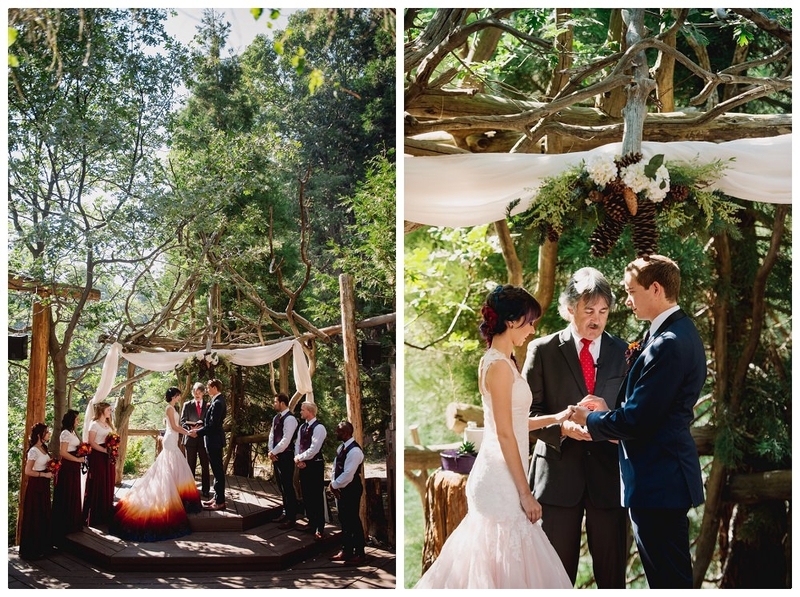 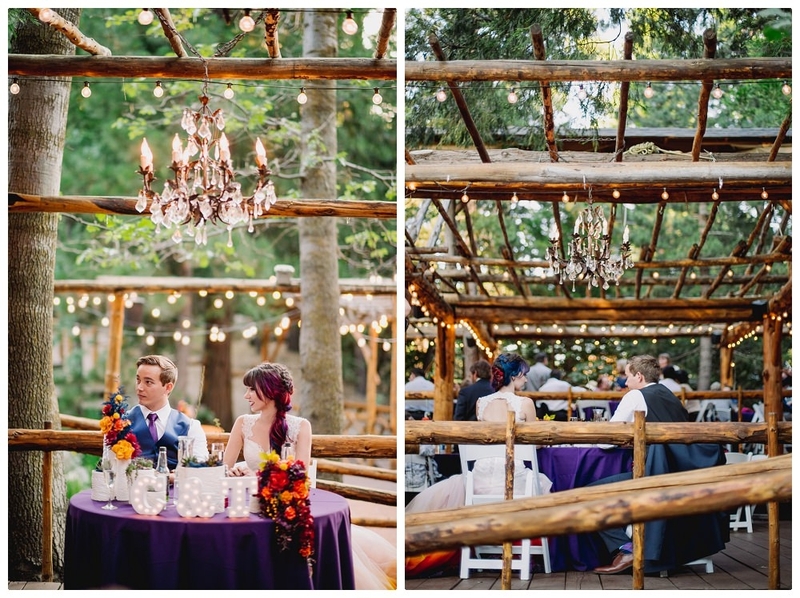 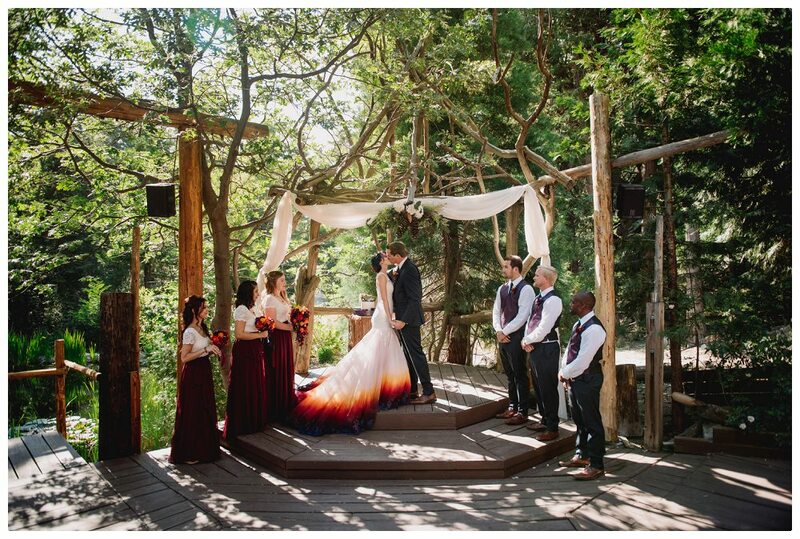 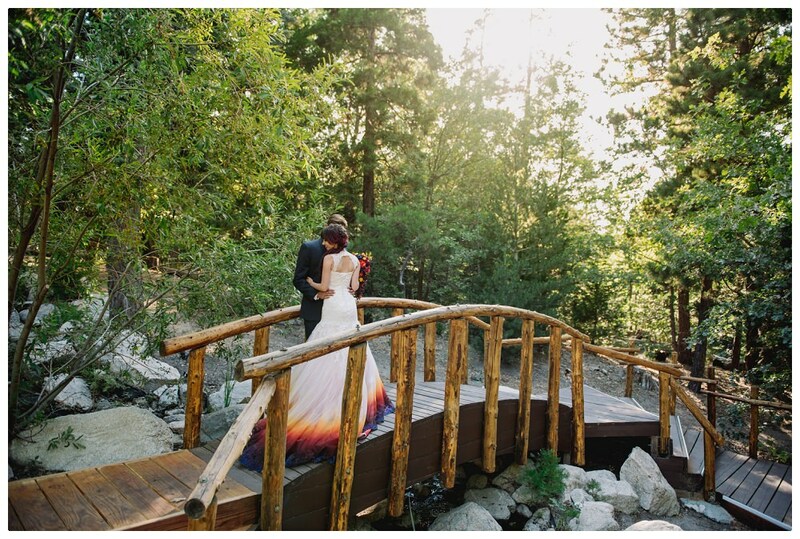 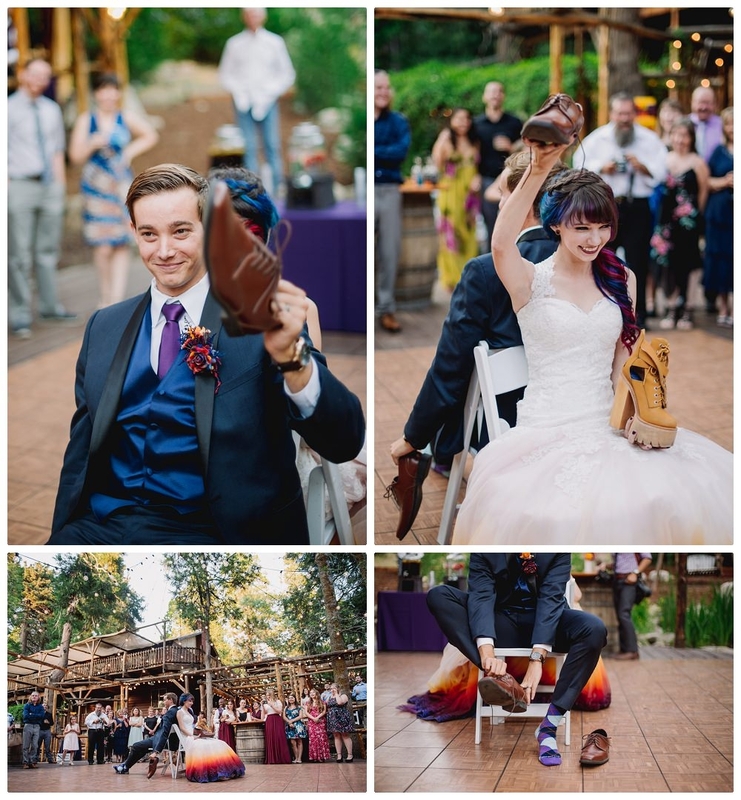 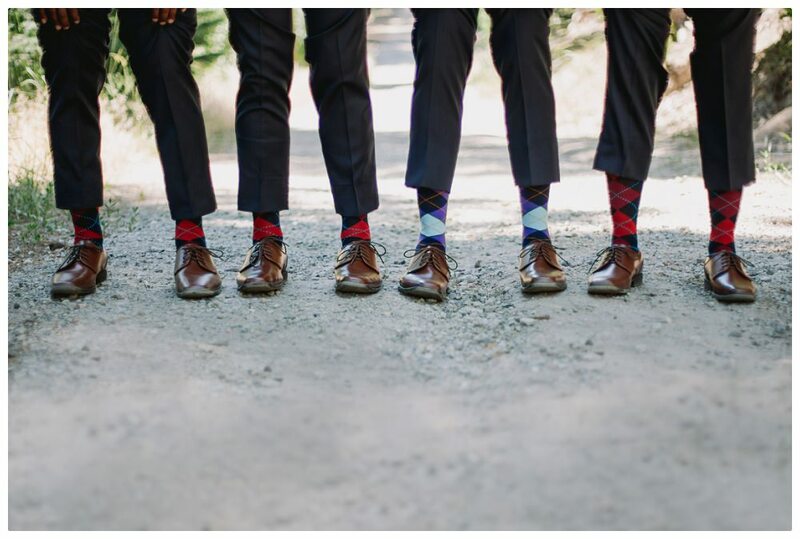 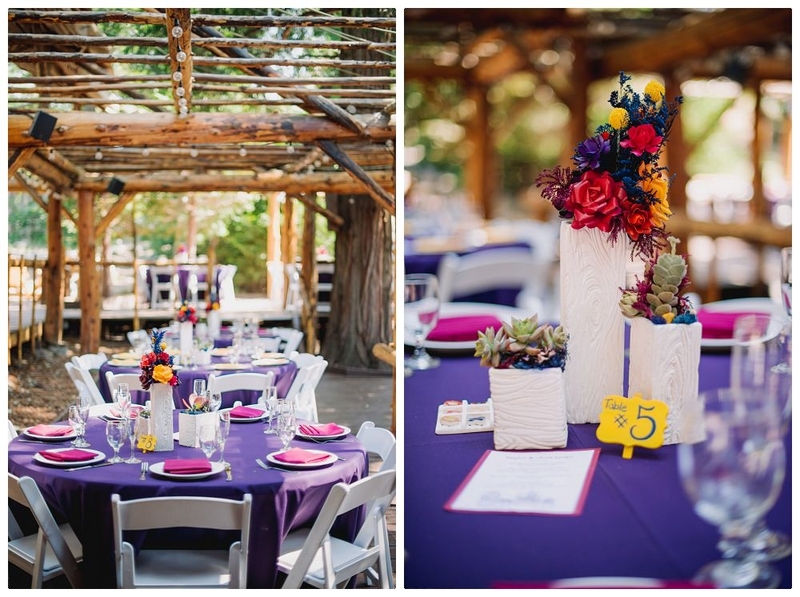 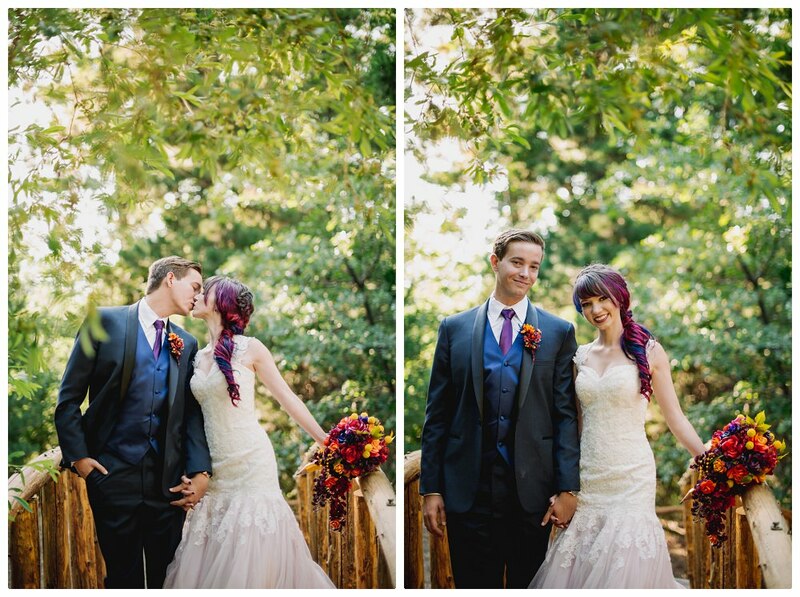 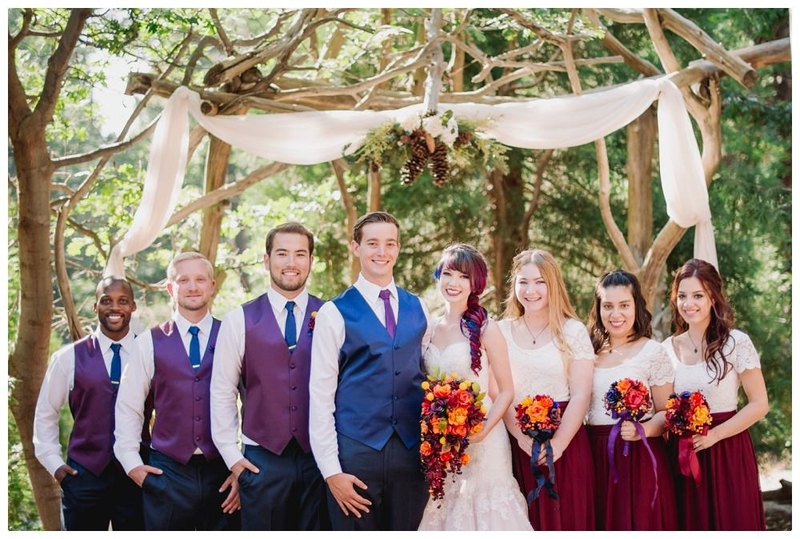 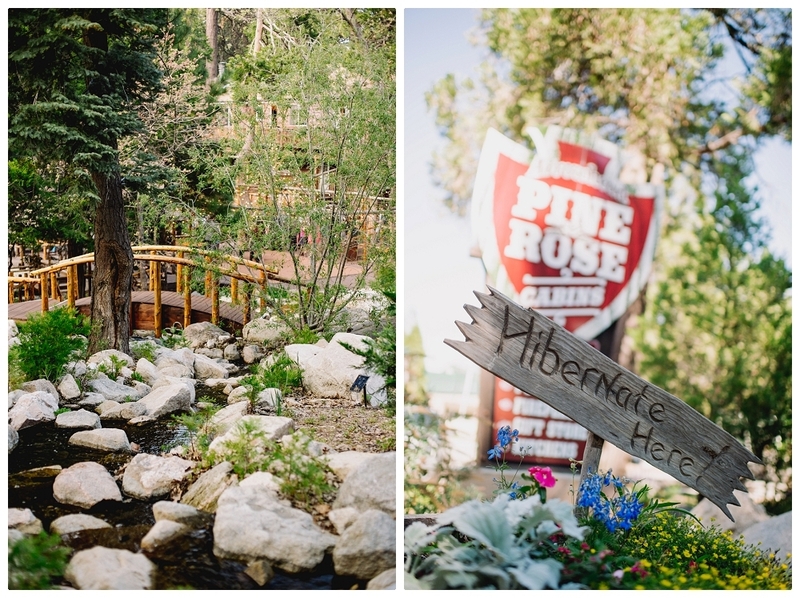 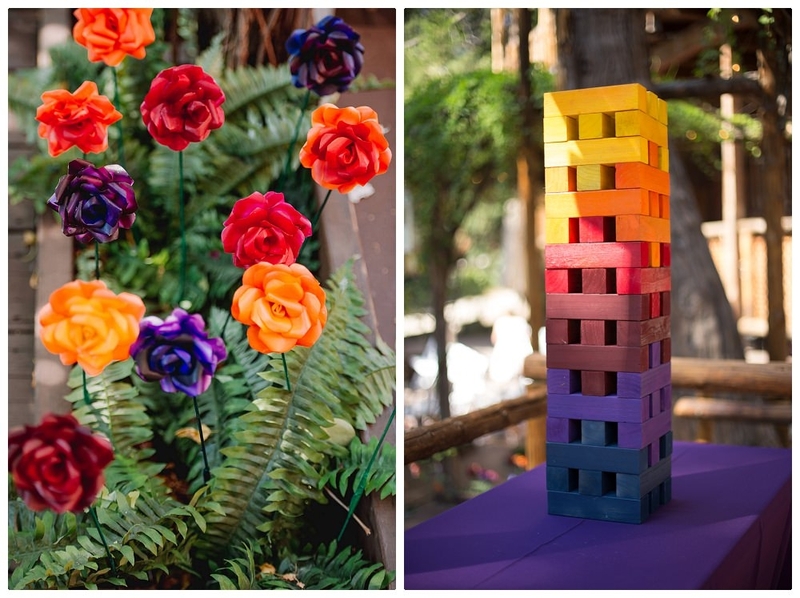 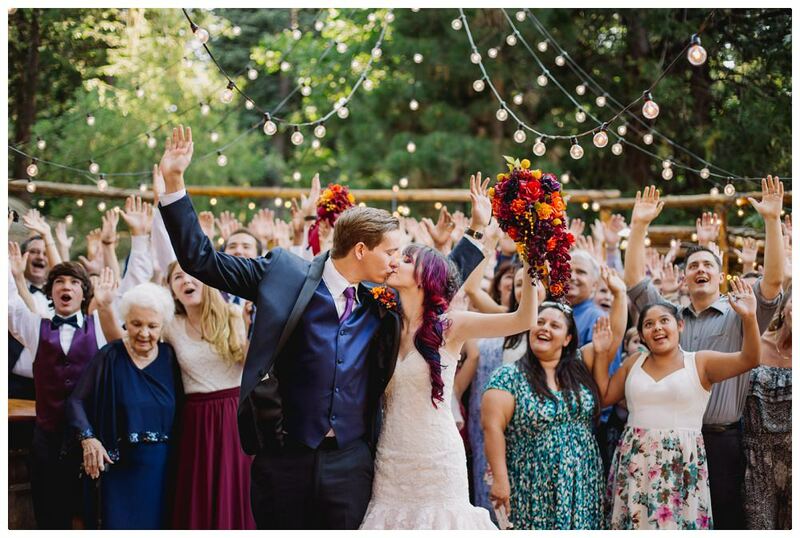 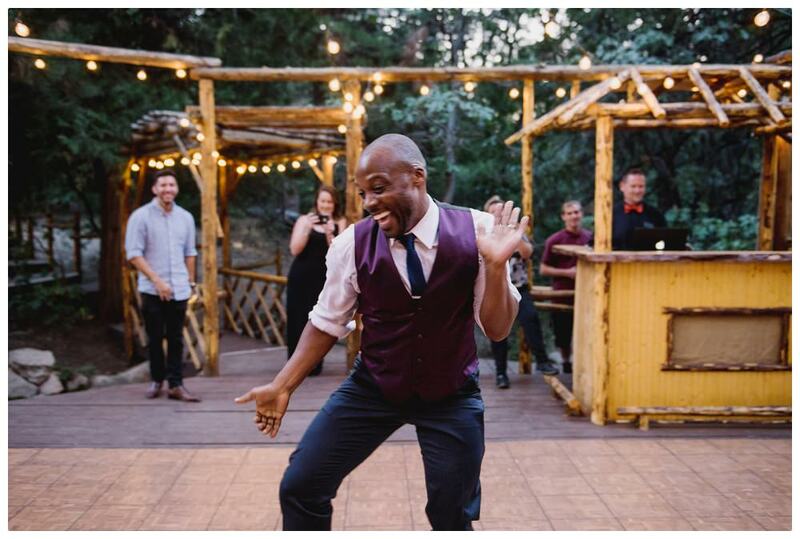 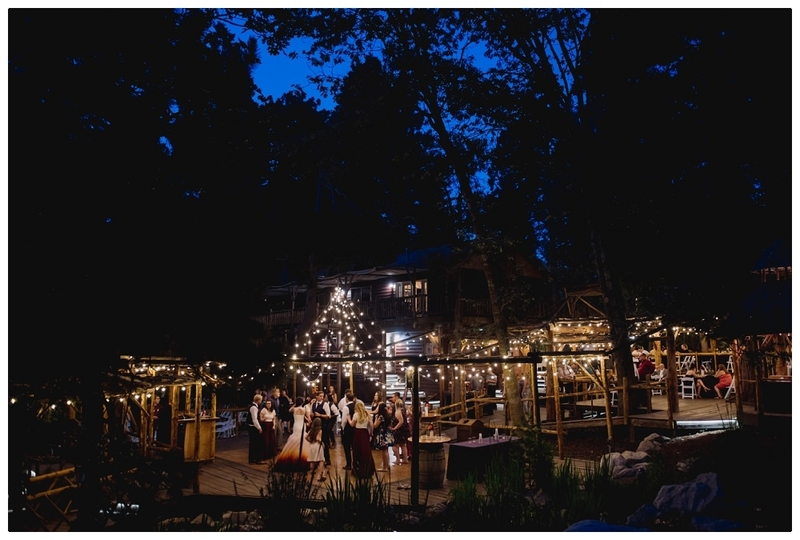 Here are some of my favorite photos from Taylor and Chris’ wedding at Pine Rose’s Hidden Creek Lodge in Lake Arrowhead. 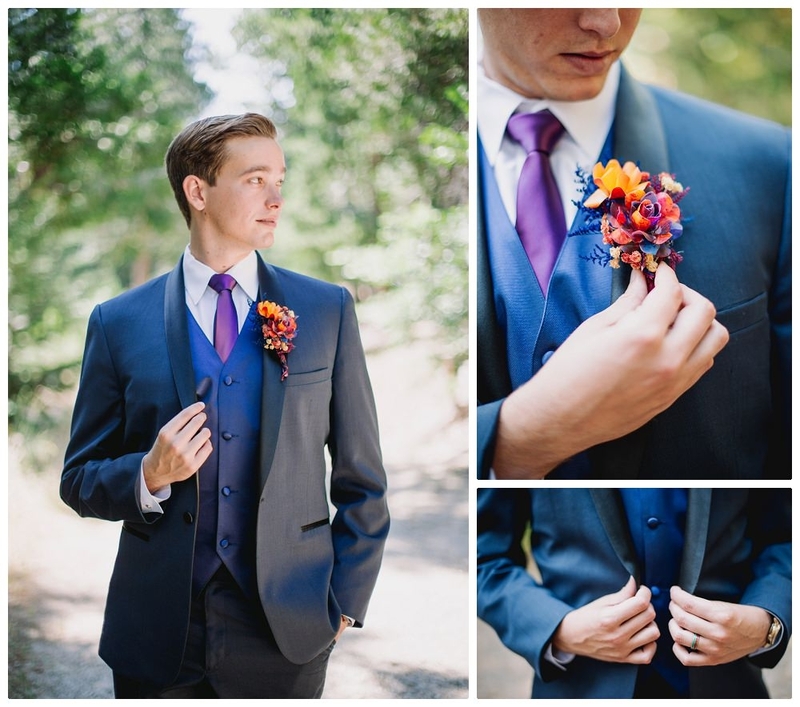 Previous Post: Is An Engagement Session Necessary?